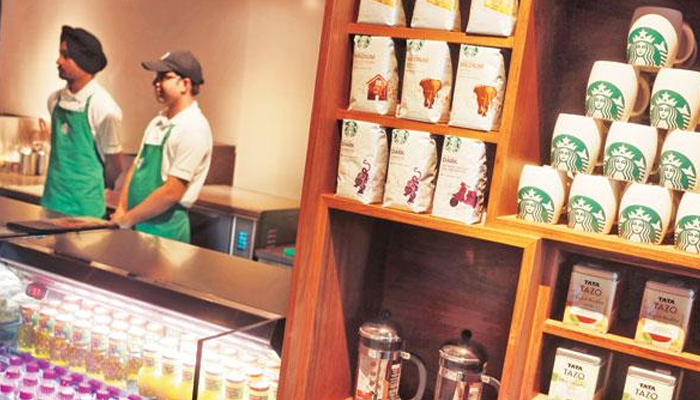 Taking its partnership with US-based Starbucks to the next level, Tata Coffee Ltd, a subsidiary of Tata Global Beverages, has started supplying homegrown coffee to the Starbucks Reserve in Seattle on a pilot basis. The company has come up with a microlot model to improve the quality of the beans that match global standards. It has already exported two microlots of domestic coffee produce called the Indian Estates Blend, launched in 2013, to the US-based reserve, namely from its Nullore and Yemmigoondi estates in Karnataka. “Traditionally we are told that Indian coffee cannot match the standards of Latin Americans because of elevation, soil conditions, and climate conditions. So we took the challenge of producing coffee which would be at par with global blends,” said Tata Coffee Managing Director and Chief Executive Officer Sanjiv Sarin in an interaction with Business Standard. Tata Cha brews nostalgia in a cup: TGB plans expansion to take on rivals Starbucks, which has a market cap of around $68 billion, operates over 24,000 stores in more than 75 countries across the world, making it the biggest coffeehouse chain in the world. In India, Starbucks and Tata Global Beverages entered into a 50/50 joint venture in 2012, with an exclusive sourcing and roasting agreement with Tata Coffee. Tata supplies coffee beans to over 100-odd Starbucks outlets in India but is now also looking to become a supplier of coffee for the Seattle-based company globally. Starbucks works with over 300,000 suppliers of coffee across the world and follows a vertical integration model to ensure the quality of the beans and that they are grown ethically. Tata Coffee has broken down its 8,000 hectares of plantation into over 800 microblocks, which can be managed at a micro level keeping in mind the condition of the soil, climate and foliage. These, in turn, affect the quality of the produce as farmers can keep track of the crop minutely. Since the company is now curating its coffee in small lots, the source of the produce can easily be traced. “In a world where roasters are getting concerned about quality, ethical and sustainable farming, the move is helping us marry our capabilities with the needs of the customer,” added Sarin. The company, which is vastly present in southern India is also open for expansion and add more plantations to its existing 19 estates. Tata Coffee will also be stepping out of the country for the first time for manufacturing, setting up its first foreign unit in Vietnam at a cost of Rs 3.5 billion. The manufacturing unit will become operational by January and will be producing 5,000 tonnes of instant coffee annually, the beans for which will be sourced largely from the same country.